Having a great product, team and business model aren’t enough if you don’t have the money to realize your vision. Infinity Blockchain Labs, in partnership with Intrepid Ventures, hosted a community workshop to address the challenges of crowdfunding for startups. 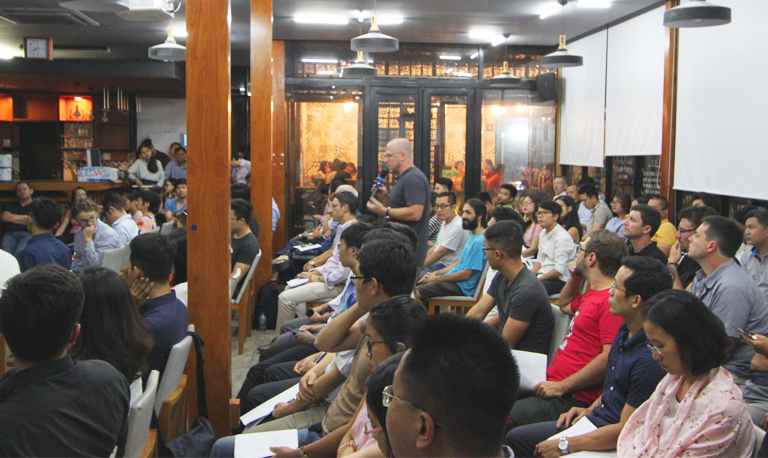 In addition to presenting the risks and rewards of building capital through crowdfunding, the event introduced the first-ever Vietnam Blockchain Landscape Report. From conventional bank and government loans to equity sales and Kickstarter campaigns, startups have a lot of options for raising funds. One of those ways, Initial Coin Offerings (ICOs), are the hottest topic in blockchain recently. Akin to an Initial Product Offering (IPO), an ICO is when a company sells a percentage of their unique cryptocurrency to early project backers in exchange for legal tender (often cryptocurrency). In 2017 alone, companies have collectively raised $1.25 billion through ICOs, including a startup named Tezos, which raised over $230 million and another, Bancor, which raised $153 million1. Thanks to these enormous sums, many companies and investors have come to think of the offerings as easy ways to get rich. While it is true that ICOs can provide substantial financial empowerment, they also come with significant risks and restrictions everyone involved should be aware of. Zach Piester, Chief Development Officer of Intrepid Ventures, is an expert in raising funds on the blockchain. His company designs, develops and finances blockchain technology while actively incubating, funding and mentoring startups. 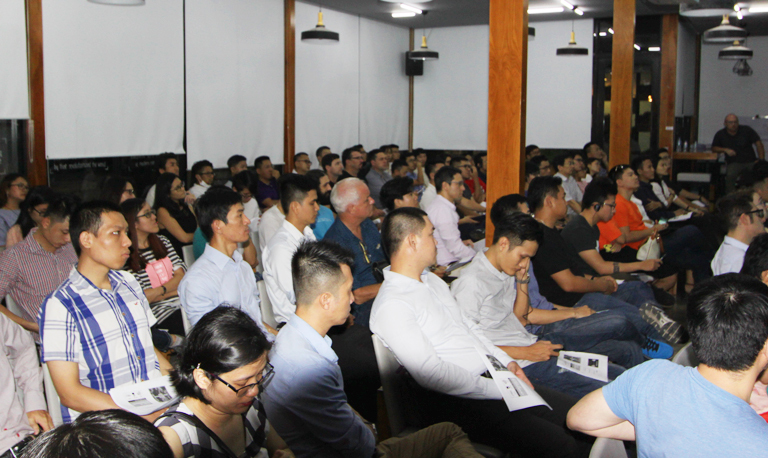 He shared his knowledge about ICOs and capital investment with 130+ entrepreneurs, investors and enthusiasts at Saigon Innovation Hub. While he did note the ICO’s revolutionary power, he stressed the importance of caution, regulation and due diligence. Zach promised that in the long-run, only conventionally sound companies will really succeed thanks to ICOs. Being able to raise vast sums does not replace the need for a good product or service, dedicated team, strong vision and precise planning. For many currently preparing ICOs, he contended, their time would be better spent improving their products, operations and compliant initiatives. When asked if he thought blockchain startups were a bubble that would burst, Piester said “of course,” while reminding people that the internet was a bubble that Google and Amazon grew out of. The key to surviving the inevitable crash will be having a good business model with flawless execution, like in any other sector. Zach repeatedly stressed the consequences of not knowing who one’s investors are and not being in compliance with Know Your Customer (KYC) and Anti-Money Laundering (AML) laws. These oversight measures ensure that companies act responsibly and can be trusted by national and international governing bodies. Not doing so puts a company and its founders in serious jeopardy for years to come. The companies also need to gain the trust of investors and consumers. They can do this by working with a reputable management team, being open about their employees and advisors, publishing white papers (the detailed outlines of the company’s product, technology and business plan), releasing code and having a visible community and social media presence. Only after accomplishing all these activities can a company be certain that it is suited for blockchain-based crowdfunding. 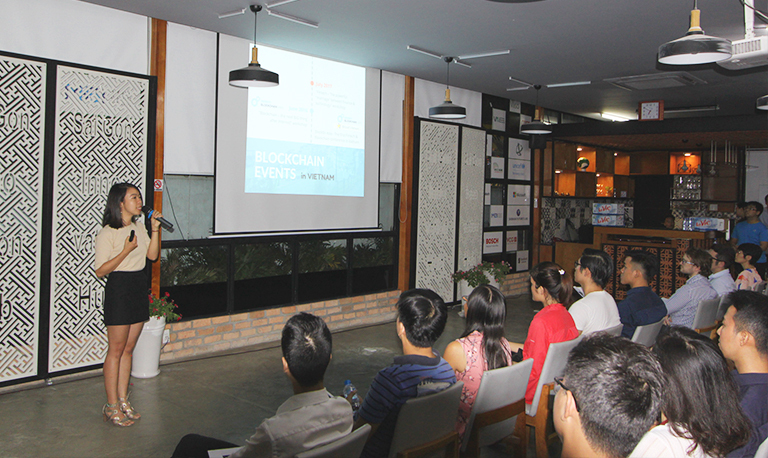 One of IBL’s primary missions is to nourish a large and powerful blockchain environment in Vietnam. Doing so requires extensive knowledge of the existing landscape. For the past several months, IBL has been collecting surveys from companies, entrepreneurs, programmers and enthusiasts regarding the country’s blockchain adoption. At Wednesday’s event, IBL Head of Corporate Marketing, Nicole Nguyen unveiled the results of the survey. After a brief background of blockchain technology Nicole traced its development from its first conceptualizations in 1991, to Bitcoin’s 2008 release and its present state. Today there are over 430,000 open source blockchain projects underway thanks to more than 800 blockchain startups operating around the world. Key undertakings include an European Union blockchain observatory, Dubai developing a blockchain-powered smart city, eight financial institutions including JPMorgan & Chase Co.and Barclays performing equity swaps post trade transactions and China testing a national cryptocurrency. After describing these global activities, Nicole transitioned to a focus on blockchain growth in Vietnam. “Blockchain has flourished substantially. 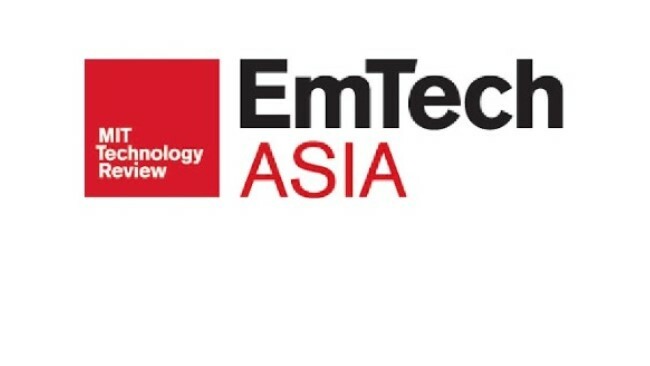 I believe that we can witness the incredible rise of blockchain and its implications in the near future,” said Dat Nguyen, PhD, of the Vietnam Education Foundation and one of a handful of influential business leaders including TMA Solutions, Bosch and Panasonic that are jointly promoting blockchain in Vietnam. These claims are supported by the survey conducted by IBL. It reveals that there have significant steps in the technology’s spread in Vietnam, including attention at events such as FAIR and Seamless. The survey provides valuable information about the size, industry, and background of companies currently experimenting. The participants shared their expectations for the technology as well as the challenges they foresee. 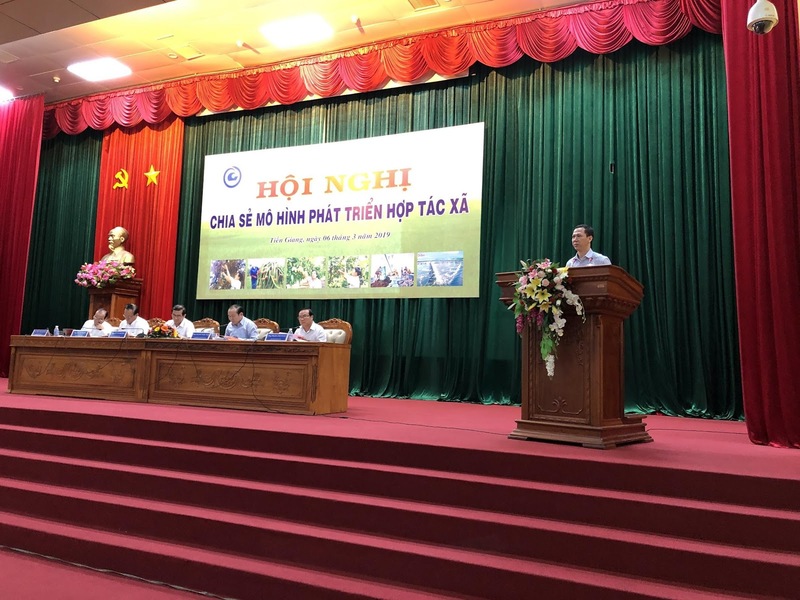 The document identifies specific ways Vietnam’s blockchain ecosystem can grow, such as through government incentives, policy advocacy and education efforts. The survey will undoubtedly raise awareness of blockchain, entice people into exploring it and allow for more effective blockchain development across all sectors. The report will be available in full on our site next week with more in-depth coverage. The landscape survey and the discussion about crowdfunding both represent IBL’s efforts to build a robust ecosystem through education, community outreach, and collaborations with entrepreneurs, businesses, institutions and regulators. With partnerships like that with Intrepid, IBL can help spread awareness for all aspects of the technology. 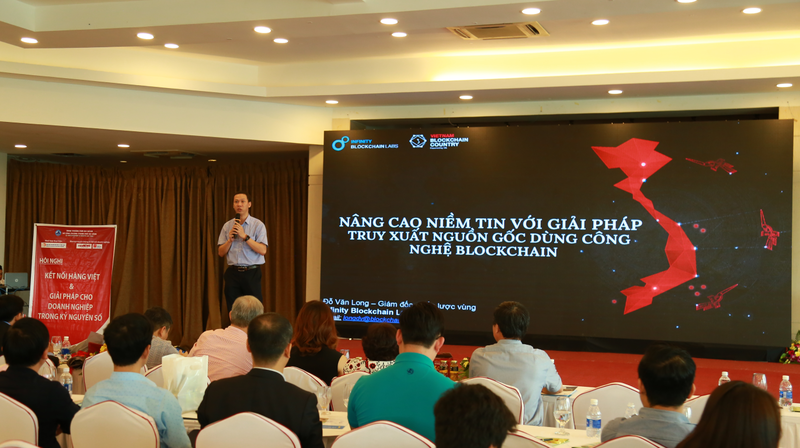 Having a well educated group of businesses, entrepreneurs, regulators and users will be the key to increasing blockchain adoption in Vietnam and making the nation a global hub for research and development. Kharpal, Arjun. “Initial coin offerings have raised $1.2 billion and now surpass early stage VC funding,” CNBC, lhttps://www.cnbc.com/2017/08/09/initial-coin-offerings-surpass-early-stage-venture-capital-funding.html. Accessed Sept. 15, 2017.